This is the 10-step program for creating a proven, powerhouse marketing plan - in one day! 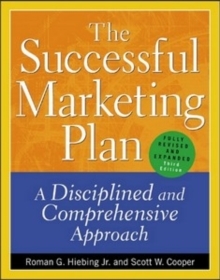 For over a decade, "The One-Day Marketing Plan" has helped thousands of marketers first determine who their target customers are and then deliver pinpoint marketing strategies and programs with speed and impact. Now, the third edition of this classic marketing how-to - thoroughly revised and updated - will arm you with the latest Internet marketing techniques and brand positioning strategies as practiced by today's most innovative, successful marketers. 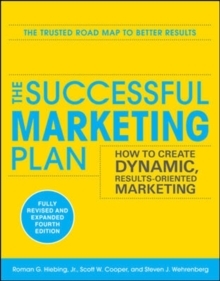 "The One-Day Marketing Plan,Third Edition", will show you how to: write a results-oriented marketing plan that targets the wants and needs of your most profitable markets; execute that plan with skill and precision - at every level and with every tactic you employ; and, use an integrated mix of marketing tools from advertising to Internet media to reduce marketing costs while dramatically improving your efficiency.Speed-to-market is the key to success in today's fiercely competitive marketing arena. 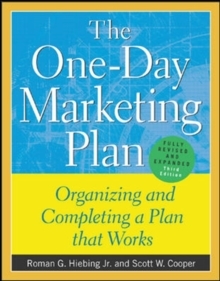 "Let The One-Day Marketing Plan" - filled with helpful forms and checklists along with actual marketing plan templates - show you how to refine your marketing message today and then use the most meaningful tactics to strengthen both your competitive advantage and your bottom line tomorrow.